Janice Kaplan is back to tackle another big, mysterious influence in all our lives: luck. And this time she's joined on her journey by coauthor Dr. Barnaby Marsh, a renowned academic who guides her exploration. 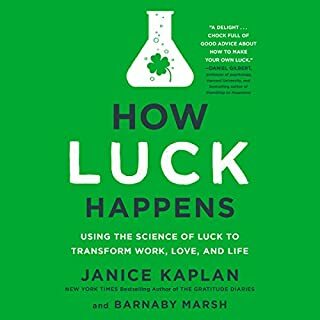 Together they uncover the unexpected, little-understood science behind what we call "luck", proving that many seemingly random events are actually under your - and everyone's - control. They examine the factors that made stars like Harrison Ford and Jonathan Groff so successful, and learn the real secrets that made Kate Spade and Warby Parker into global brands. 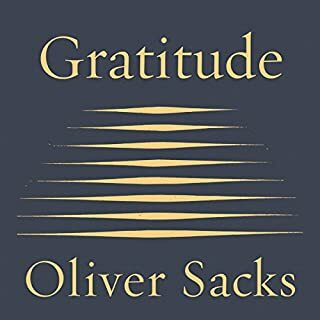 This powerful book is the ultimate guide on how to create real happiness in your life through finding, cultivating, and activating gratitude no matter what your life circumstances may be...and to do it in a way that will change the trajectory of your life. 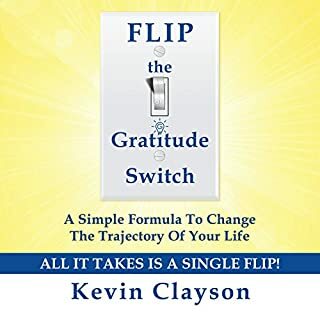 This book will show you how to make gratitude something you do, not just something you feel, and how to change your life quickly, simply, and permanently as a result. All it takes is one FLIP - that single moment when you decide that you want to stop thinking about the life you should be living and actually start living it! In this inspiring memoir backed by pioneering research, Janice Kaplan spends a year living gratefully and gains a fresh outlook that transforms her marriage, family life, work, health, and everyday experience. 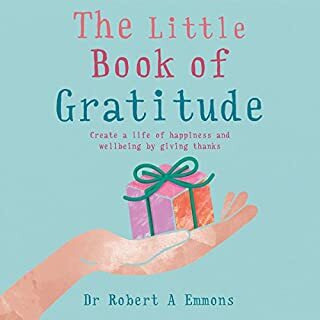 Relying on both amusing personal experiences and extensive research, Kaplan explores how gratitude can transform every aspect of life, including marriage and friendship, money and ambition, and health and fitness. She learns how appreciating your spouse changes the neurons of your brain and why saying thanks helps CEOs succeed. Through extensive interviews with experts and lively conversations with real people, including celebrities like Matt Damon, Daniel Craig, and Jerry Seinfeld, Kaplan discovers the role of gratitude in everything from our sense of fulfillment to our children's happiness. With warmth, humor, and appealing insight, Janice's journey will empower listeners to think positively and start living their own best years ever. An unfortunately superficial treatment of a profound topic. Her talk of her vacation home, trips to Europe, and large bank accounts made it unrelatable. I would have liked a little more grit and acknowledgement that it isn't always so easy to look on the bright side. Great book of ideas and perspectives about the power, beauty and elasting effect of grattitude. I was excited for this book because I keep a gratitude journal and believe in its benefits. The pattern of the writing - sentence, sentence, corny one liner "joke," sentence, sentence, corny one liner "joke" - grew extremely tiresome. The book was self-indulgent at times and just distasteful at others (mentioning a woman who tragically lost her 3 young children and then the author segueing into losing her job was in offensive - especially since she and her husband are both clearly very wealthy and she had living children). When the author got into gratitude and her struggle to lose 10 pounds I almost quit the book (she didn't even interview a registered dietitian nutritionist as an expert on the topic). There were a few gems but overall I was just grateful the book was over and could start a new one. I'm 50% with this. Probably it's too long and too self-centred but there is also something interesting in it. I was already looking on this topic and one book more doesn't hurt. But it's too long for what it gives. when you're ready to shift your life read this! I just finished rereading this book. Loved it both times! 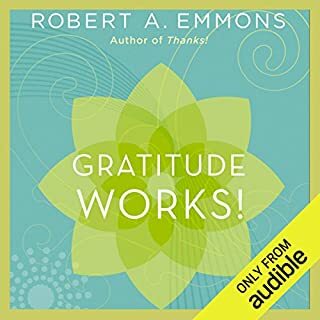 The message is uplifting, and the reread reminded me that practicing gratitude makes me a much more optimistic and joyful person. Loved Janice Kaplan's narration too! Grateful to find this book!!!! While on my journey to lead a better life this book is a great find. listen to it now!!! What a fantastic listen! 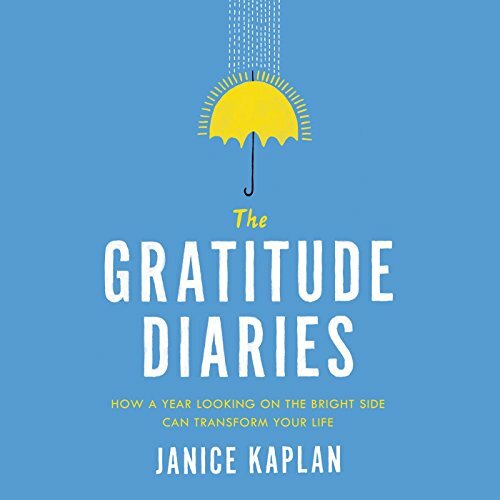 I'm on my 2nd round of enjoying Janice Kaplan's The Gratitude Diaries and I highly recommend it to everyone. Her enticing stories of celebrities and their gratitude experiences are entertaining & enlightening. 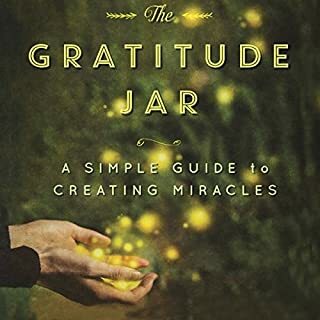 I've learned from experience that a grateful heart is a happy one and this book is chock full of awesome incidents of gratitude - the author's and the many people with whom she's worked over the years. Kaplan is also a proficient narrator! Thank you, Janice Kaplan, for this delightful book! I think everyone should read/listen to this book. You have nothing to lose, and so much to gain! I appreciated the mix of Janice’s personal story telling and scientific research. I truly feel there is so much to be grateful for, and I’m making it my mission to so my gratitude to my family, friends, and even strangers.